Arthur had a takeaway early this morning and was too full to manage even a morsel of breakfast! In fact, he couldn’t finish the takeaway either. He left the rest in the dining room, presumably in case we were hungry this morning too. To judge from the tail and hind legs it was quite a substantial rat and quite fresh, but still I fancied muesli instead. 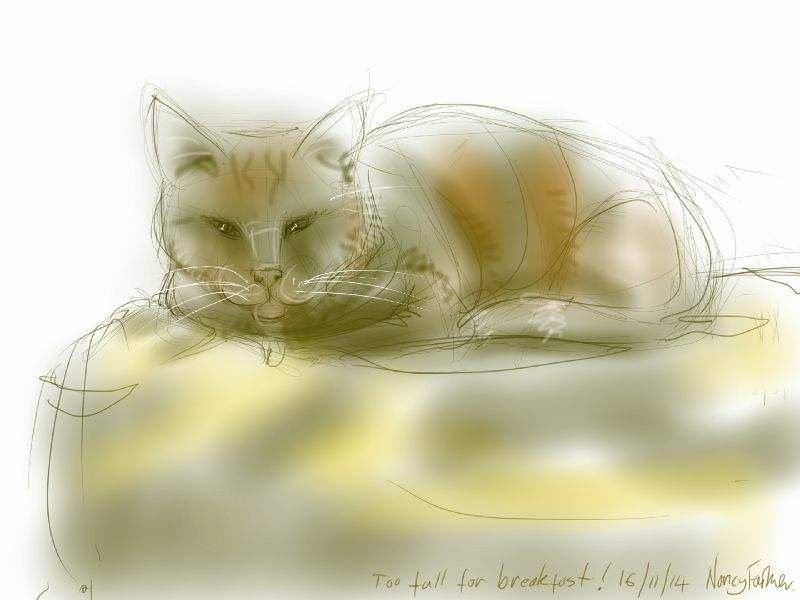 This entry was posted in Cats and tagged art, arthur cat, cat, cat drawing, cat sleeping, cat-of-the-day, digital sketch, drawing, illustration on November 16, 2014 by Nancy Farmer. Oh, those nice little gifts we receive, eh?